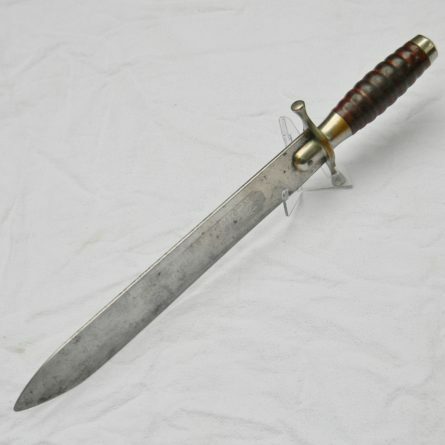 Indian Wars era Springfield Armory M1887 Hospital Corps Knife Watervliet Arsenal scabbard (Type II). 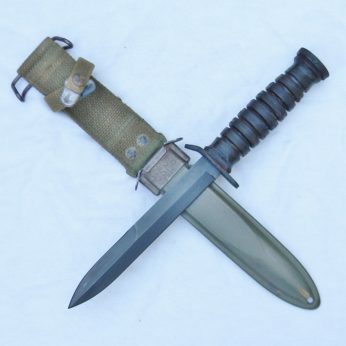 VERY rare in any shape or form as only 406 were made. 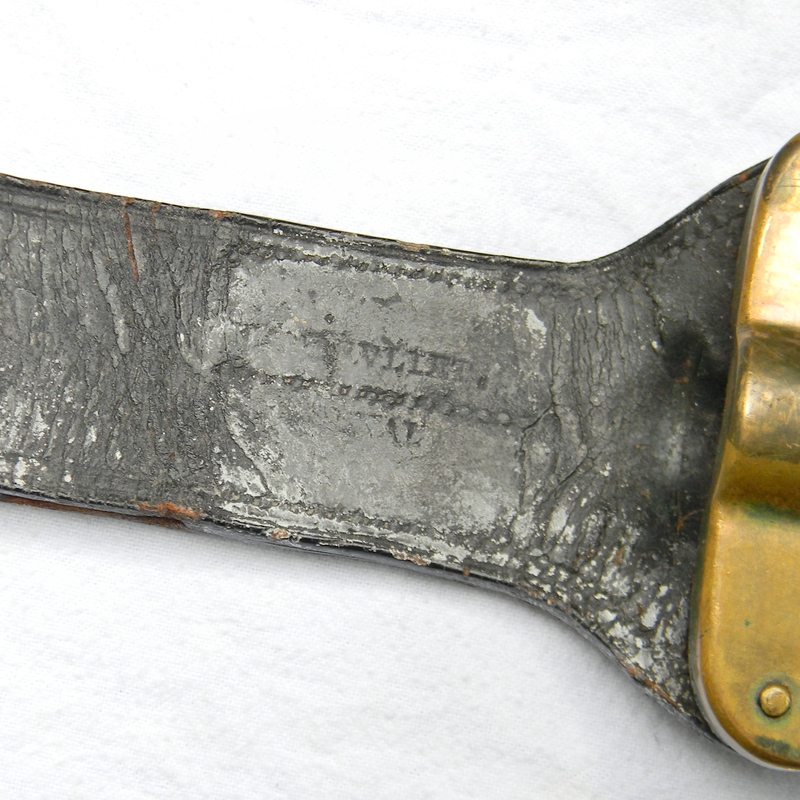 Great overall condition, considering the age. 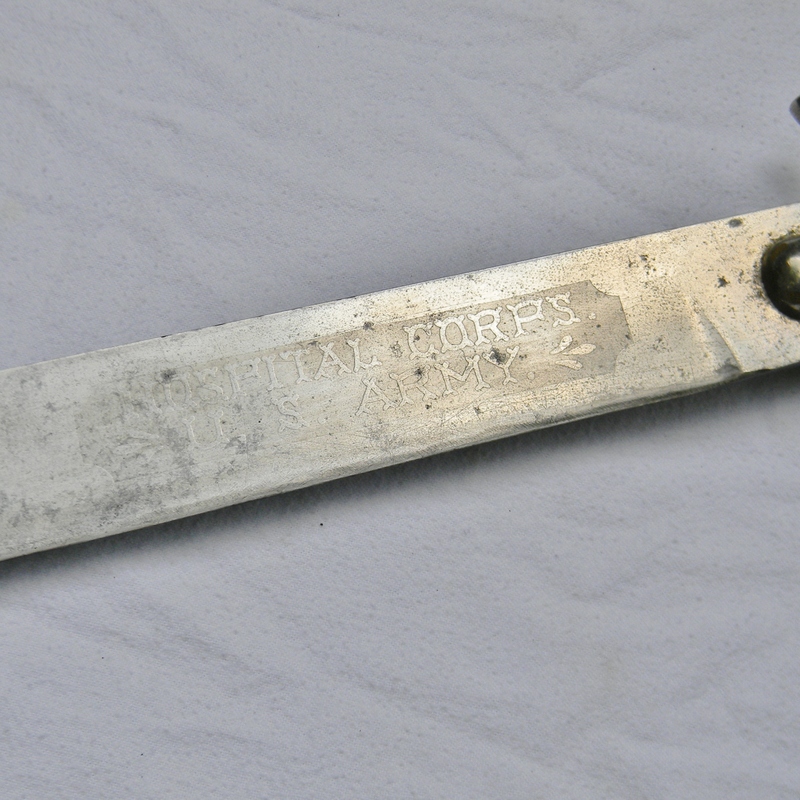 Original Indian Wars era Springfield Armory Model 1887 Hospital Corps Knife in rare unaltered, not cleaned and/or repaired condition. The M1887 was only produced at the Springfield Armory; across all variations just a bit over 1000 of them were ever made. 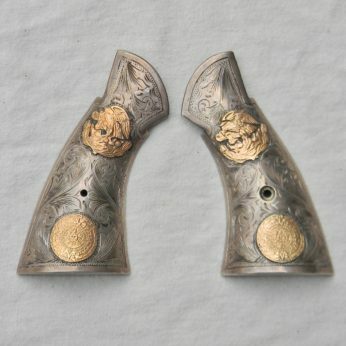 A total of 650 of Type I M1997s were issued in 1889. 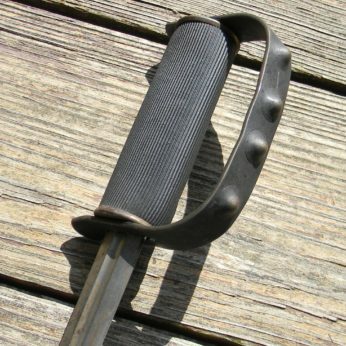 In 1891, Springfield Armory manufactured an additional 406 Type II knives. 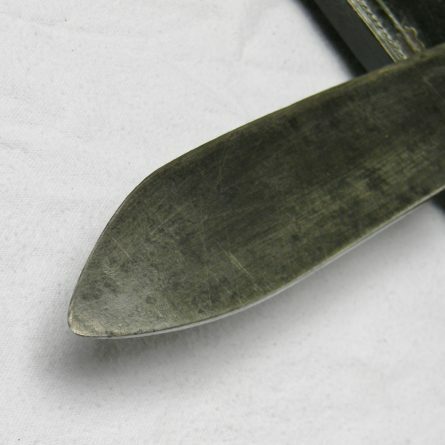 This specimen is the more scarce Type II – the etching is about 2 inches from the guard – only 406 of this were made! 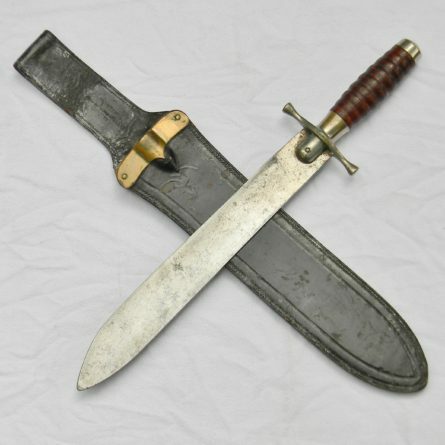 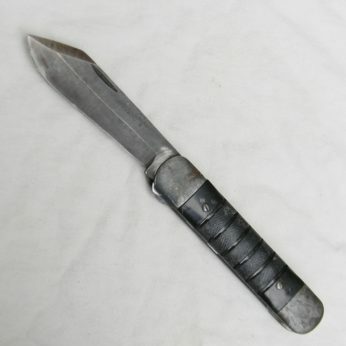 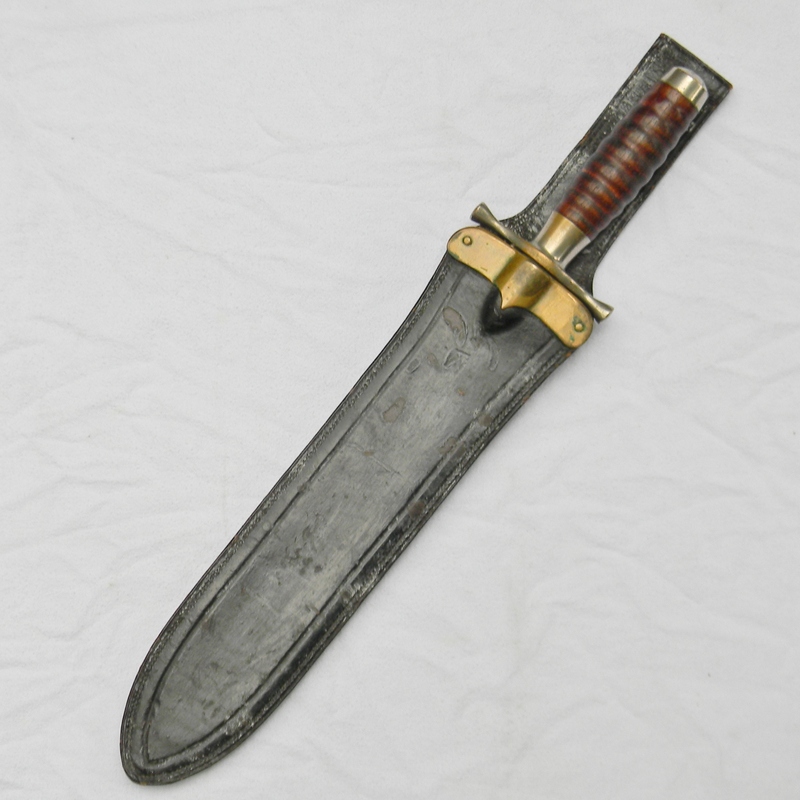 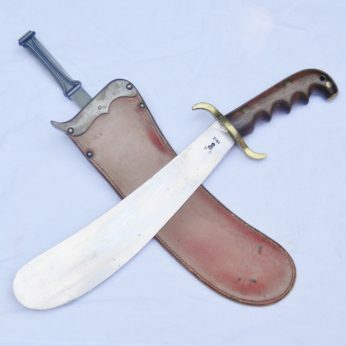 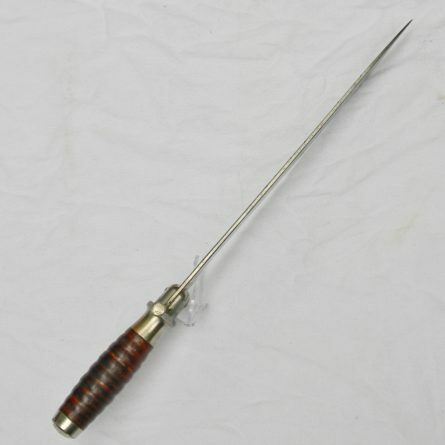 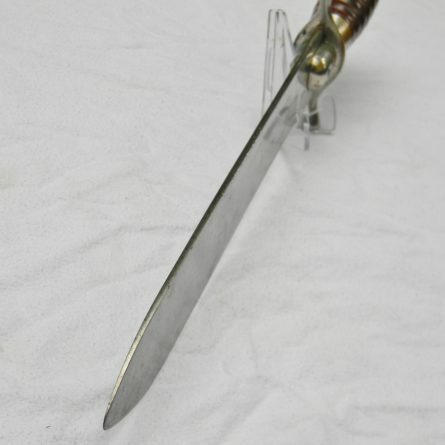 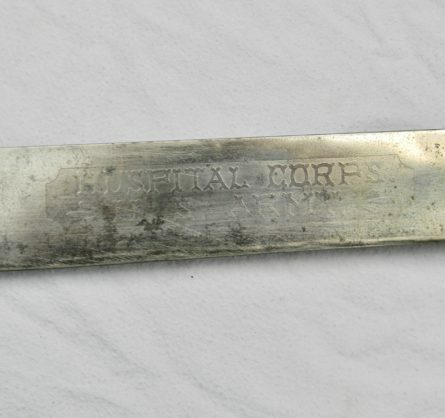 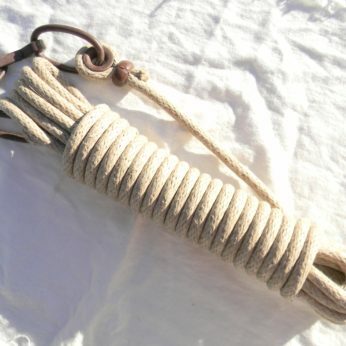 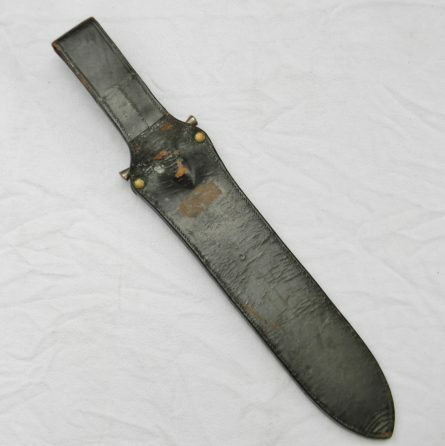 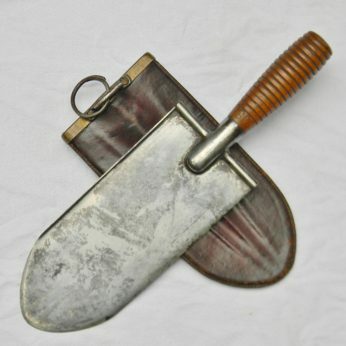 Since only about a thousand of M1887 Hospital Corps were manufactured, it is one of the rarest early American edged weapons and though-after Americana collectibles. The knife is about is 16-5/8” / 42.3 cm overall; the blade is about 11-7/8” / 30.3 cm long; the edge is very sharp still; the tip is a bit rounded. The blade has not been cleaned or re-polished and has an attractive original light-gray patina throughout; the HOSPITAL CORPS. / U.S. ARMY etching a bit faded but is clear and fully readable. 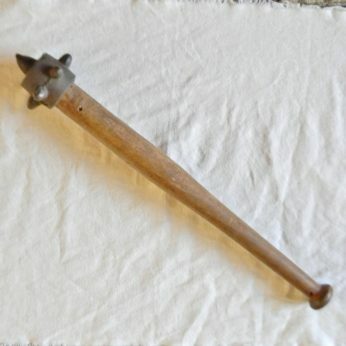 Lathe-turned wood handle is solid with zero movement; no chips, dings, or cracks on the wood. 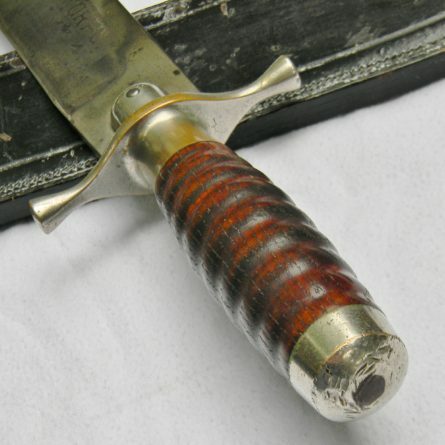 Some contact marks on the pommel and few minor dings on the spine of the blade are noted for accuracy. 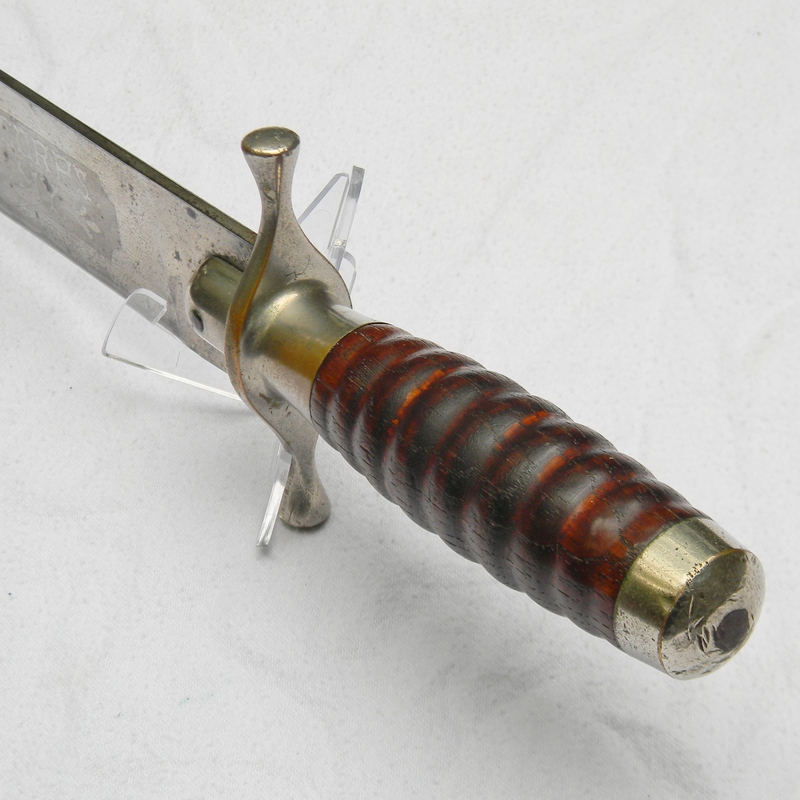 Original Watervliet Arsenal scabbard is in very good shape, considering the age. 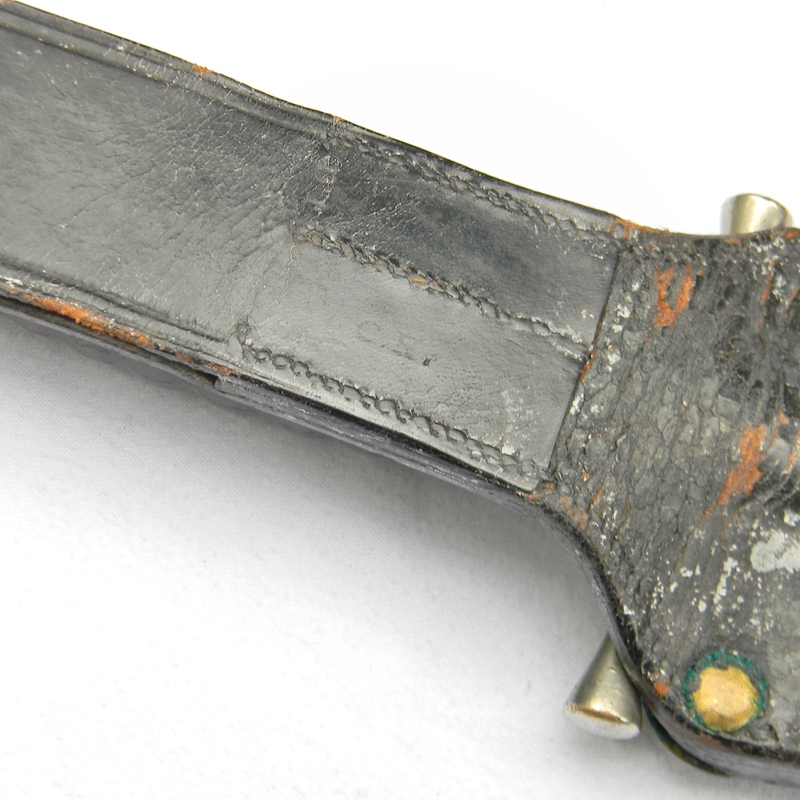 Original black finish on the leather is missing a few spots – pretty typical for the type. 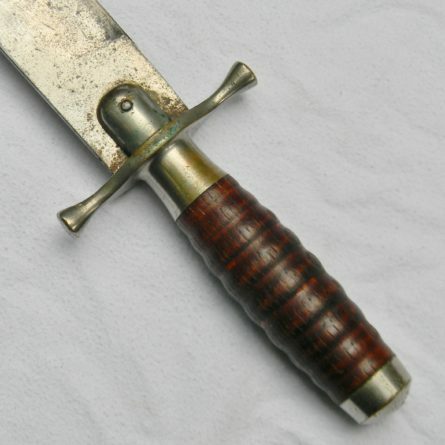 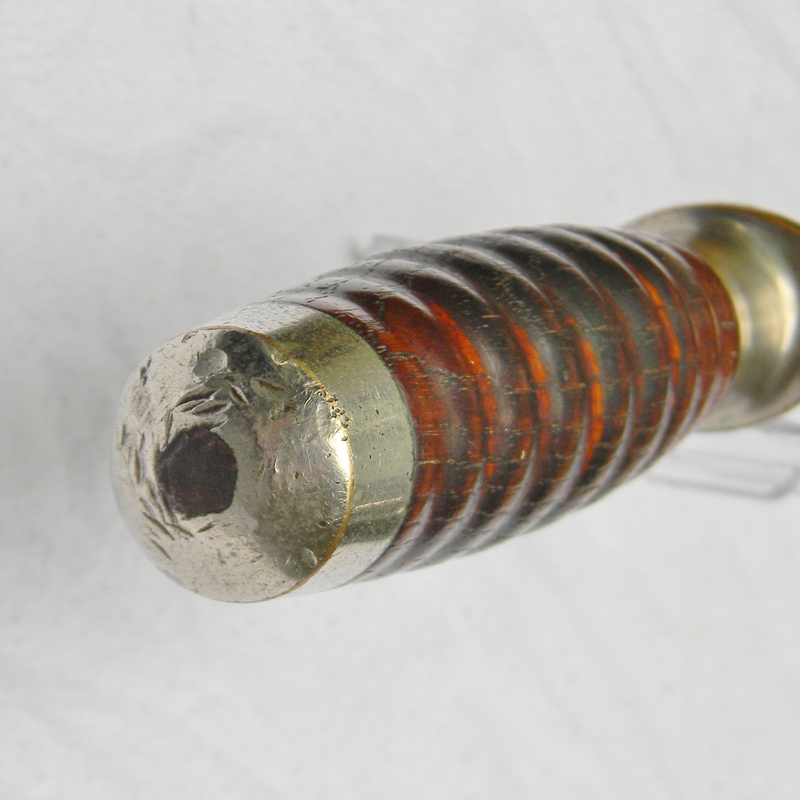 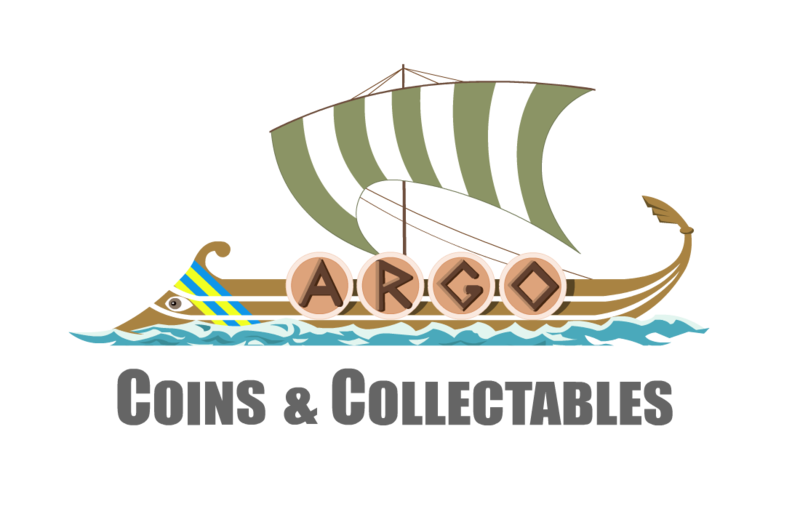 All original stitching and brass rivets are intact; typical green oxidation around brass in some areas – cleanable. 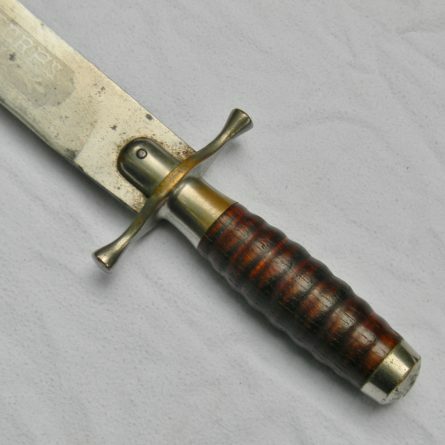 Brass throat with copper rivets is near-perfect without the typical dings or nicks; original leather belt loop is stamped Watervliet Arsenal on the front and with the Arsenal inspector’s initials C.H. 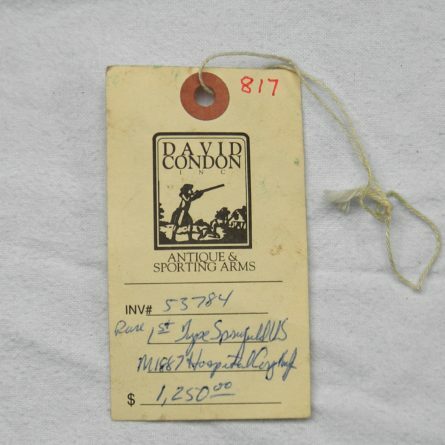 on the back. 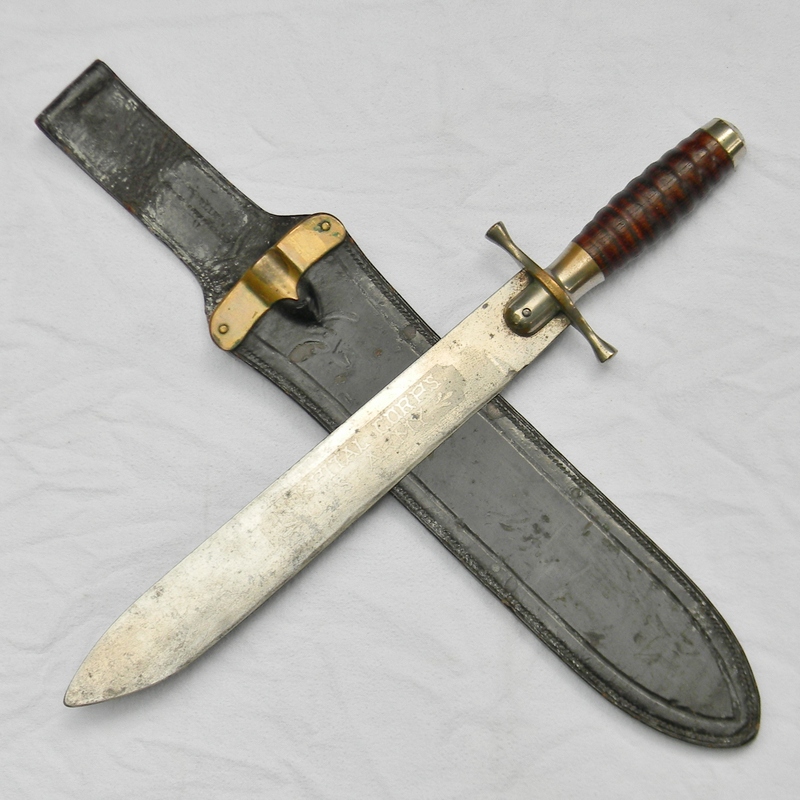 This Springfield Armory M1887 Hospital Corps Knife Watervliet Arsenal scabbard set comes with the original sale tag, courtesy of the previous owner. According to the owner, this M1887 was purchased years ago from a well-established antique arms dealer in Middleburg, VA for $1,250. 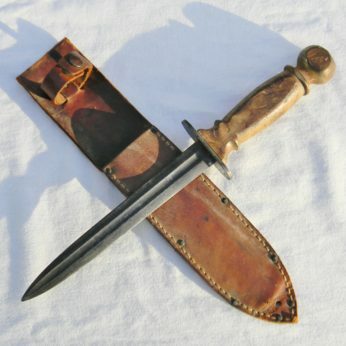 All in all this rare M1887 set is well-above the average condition for this type – a great find! 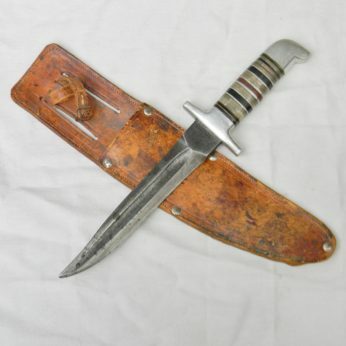 This original Indian Wars era Springfield Armory M1887 Hospital Corps Knife Watervliet Arsenal scabbard are in excellent condition for the type. This Type II Hospital Corps Knife is rare in general and VERY rare this nice; don’t miss your chance to add it to your collection!